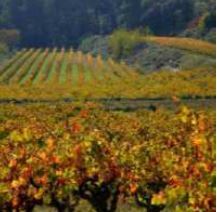 Wines of exceptional quality, prestigious around the world, are produced in this region of Catalonia, located between the plains of the Mediterranean coast and the nearby mountains. This is also where another universally renowned drink is produced: Cava (sparkling wine). 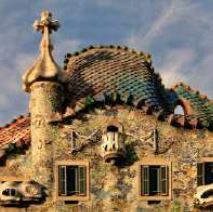 Arrival in Barcelona and transfer to your hotel in Castelldefels (20 km from Barcelona), check in and Dinner. 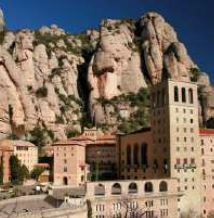 Breakfast and then discover the mountains of Montserrat, an exceptional natural site with astonishing geological formations. Ascension by track train to the sanctuary dedicated to the patron saint of Catalonia, La Moreneta. Lunch in the restaurant of Montserrat. In the afternoon, visit of the Freixenet cellars and tour by train through this historic company which brings together new technologies and traditional methods. Return and dinner at the hotel. Breakfast. 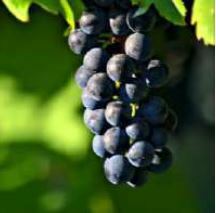 Continue to discovering the Catalan wines with the visit of the cellars Torres. Experience a cultural and entertaining experience, ideal for exploring the exciting world of wine and the history of the Torres family. 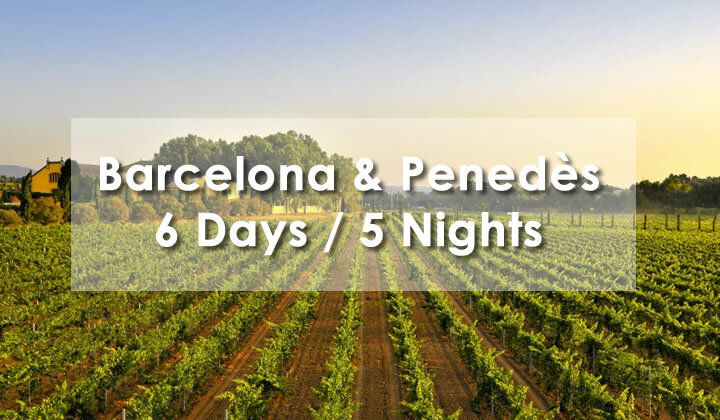 Then time to discover Vilafranca del Penedès, a village surrounded by hundred-year-old vines. Lunch in a local restaurant. Return and dinner at the hotel. 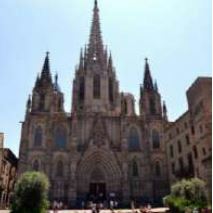 Transfer to Barcelona airport and return flight.